New in the Gallery: Lots of Stuff! Nice Hanging, Christine, originally uploaded by Fact & Fancy. Come on by and see what's new! Christine surprised me today with a new configuration of work. It looks awesome. If you click the photo you'll go to our Flickr page and you can see who's who. 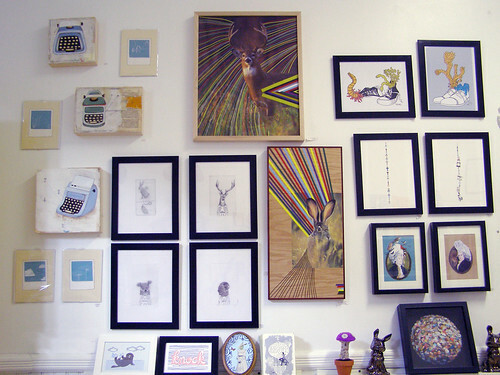 We have some Joe Ryckebosch, Altar'd Beast, Michele Maule, Vacon, Amazing Talking Paintings, Wonting and a few others in this pic! This Weekend Only!, originally uploaded by Fact & Fancy. Hello Fact & Fancy Fans! 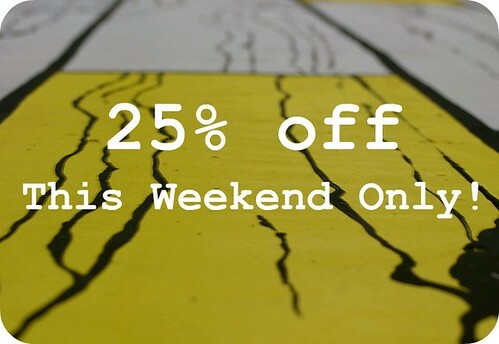 25% off EVERYTHING in the gallery this weekend! Come on by and visit us. This is the perfect time to pick up some original art, one of a kind clothing, feltidermy, fancy jewelry and prints!